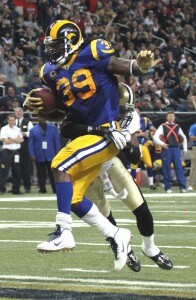 Steven Jackson scored twice in his first 100-yard game in three seasons as the lowly Rams won their first game this season, a 31-21 upset of the New Orleans Saints. Drew Brees was intercepted twice, with Darian Stewart’s pick and 27-yard return putting the game away with 2:51 to go. The NFC Saints (5-3) average a league-best 35 points, but never got going against a defense ranked near the bottom of the league. 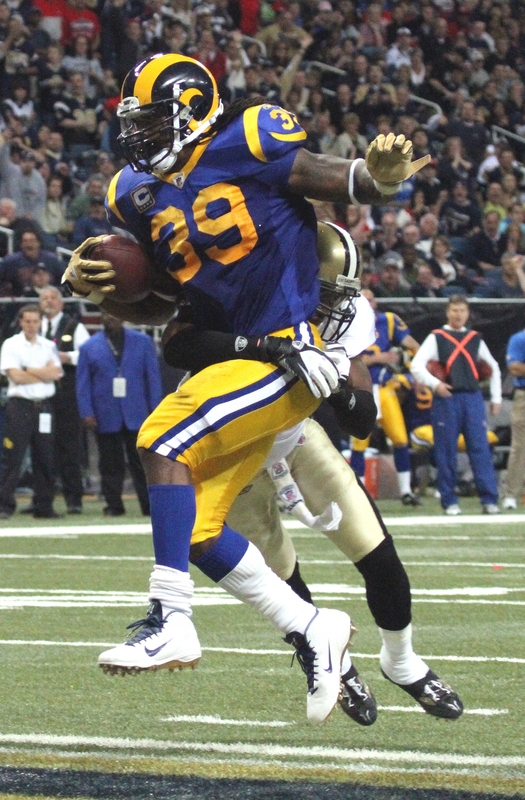 The Rams (1-6) had a season-high six sacks after entering the game with just 11, three by Chris Long.